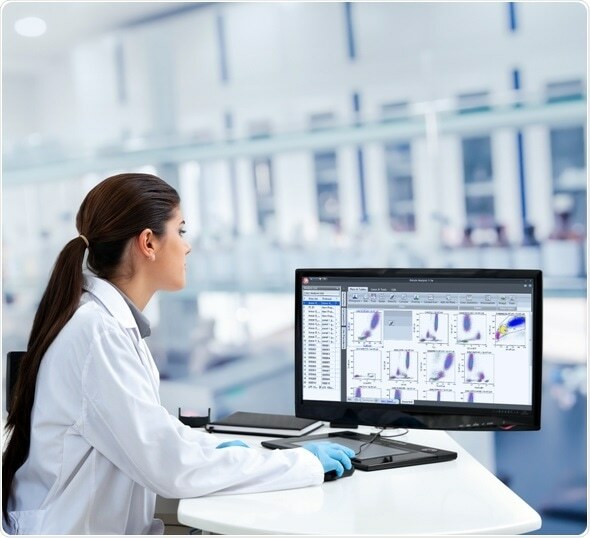 Beckman Coulter has launched the Kaluza C Flow Cytometry Analysis Software, an advanced data analysis system for the clinical laboratory. The new software streamlines clinical QC reporting and addresses standardization issues in flow cytometry. Kaluza C is both CE- marked and listed with the FDA. It builds on the company’s existing Kaluza Analysis software, which is already an essential analysis tool for life science researchers. Kaluza C software improves the visualization and analysis of rare events. It makes it possible to process large, multi-color, files with up to 20 million events and set the plot resolution according to the gate level. Further, it enables the operator to focus on a limited number of events to preserve the integrity of the scatter plot. Tools such as easy Boolean gate formation and autogating are also incorporated to improve the analysis of complex data sets. It takes less than a second to adjust the compensation and calculate compensation values. Kaluza C offers laboratories the opportunity to improve their clinical reporting. It provides support at several levels, from quality control and regulatory compliance to ease of use and advanced user management tools. Complex, clinical reporting can now be done in minutes, helping to improve workflow, reduce turnaround time (TAT) and enhance the diagnostic pathway." Kaluza C incorporates quality control visualization tools for regulatory and quality control compliance. The software also offers a range of user management tools, from report page generation to auditing work levels and traceability, and enables easy exporting of data into the main laboratory information system. It can analyze clinical data from any cytometer that complies with the official Flow Cytometry Standard (FCS). Meeting regulatory requirements for complex flow cytometry testing is demanding on both time and expertise. Kaluza C empowers clinical flow cytometrists, giving them the confidence to approach their work in a different way and so achieve greater efficiencies."